Halloween has come and gone which means two things: it's almost turkey time and it's time to start your Holiday shopping! At HH Design House, we LOVE LOVE LOVE the holidays! It's our busiest and most fun time of the year! We'd love for you to schedule an appointment to get your custom family holiday cards. We don't want to spoil any suprises for this year, but here are a few of our favorites from last year. Our store, Happenings, is located at the corner of 23rd & Church 532 Tremont Street in Galveston, Texas. 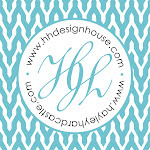 Feel free to call us at 409.974.4122 or email hayley@hhdesignhouse.com to schedule an appointment or place an order!